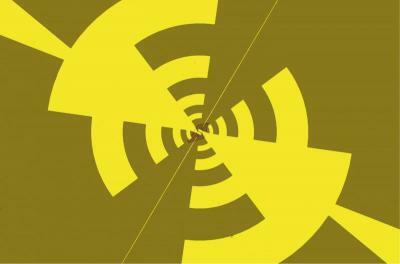 Researchers at Chalmers University of Technology and the Beijing University of Technology have exploited graphene's thermoelectric properties to create a new kind of radiation detector. Classified as a bolometer, the new device has a fast response time and, unlike most other bolometers, works over a wide range of temperatures. With a simple design and relatively low cost, this device could be scaled up, enabling a wide range of commercial applications. In the new bolometer, radiation heats part of the device, inducing electrons to move. The displaced electrons generate an electric field, which creates a voltage difference across the device. The change in voltage thus provides an essentially direct measurement of the radiation. Other devices rely on the generation of electrical current or resistance change by incoming radiation. But measuring changes in current or resistance requires an external power source to generate an initial current. The mechanism is much simpler than in other bolometers, according to the team. The device was shown to remain sensitive to radiation at temperatures up to 200 degrees Celsius. Conventional bolometers typically work only at cryogenic temperatures. Other researchers have previously made graphene bolometers, with better properties than this new device, but these models contain a double layer of graphene, making them more difficult to scale, the team says. Another advantage of the new device is its coating. The researchers previously developed a method to coat graphene with a dielectric polymer called Parylene, which offers a good balance of performance and scalability. The prototype bolometer works only with microwave radiation at 94 gigahertz, but future designs will widen the frequency range. In the future, the researchers plan to make the device using chemical vapor deposition to grow larger pieces of graphene, paving the way for mass production. In February 2017, a Graphene Flagship team developed a graphene-based pyroelectric bolometer - an infrared (IR) detector with record high sensitivity for thermal detection, capable of resolving temperature changes down to a few tens of µK.